Favorite location for living in Hawaii in rural area for outstanding prices. Paved roads, community parks, new community well (not piped to homes), and community center for subdivision. Exterior Features Has pads, driveways, water tank pads, ocean views, SSPP paid in full, power lines going by property. Additional Features and Amenities Ready property for you to build on. 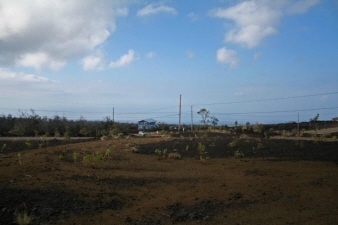 Located in Hawaiian Ocean View Estates in the Ka'u District. Near shopping in Ocean View Hawaii. Small community with two grocery stores, gas stations, hardware store, laundry mat, restaurants, post office, and other businesses in area.